Just like the camera it goes with, 600 film is straightforward and easy to use. 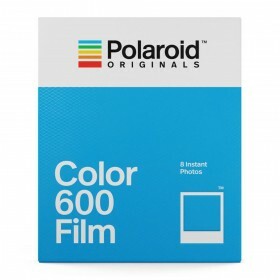 Polaroid's 600 film comes in classic color and black & white versions, as well as a range of special editions, so there’s always a new way to put your life on film. Polaroid's Black & White 600 film is a classic instant film for vintage Polaroid 600 cameras (but it works with i-Type cameras as well). It captures your photos in deep blacks, bright whites and a million shades in between, and it's great for everything from studio portraits to late-night parties, because everyone looks good in black & white.